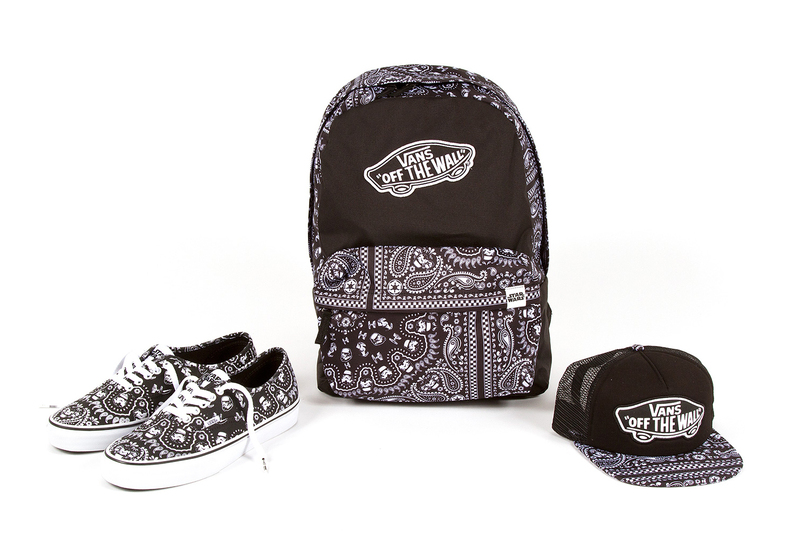 As a tie back to Classics footwear, Vans x Star Wars brings forth an assortment of men’s apparel and women’s accessories. 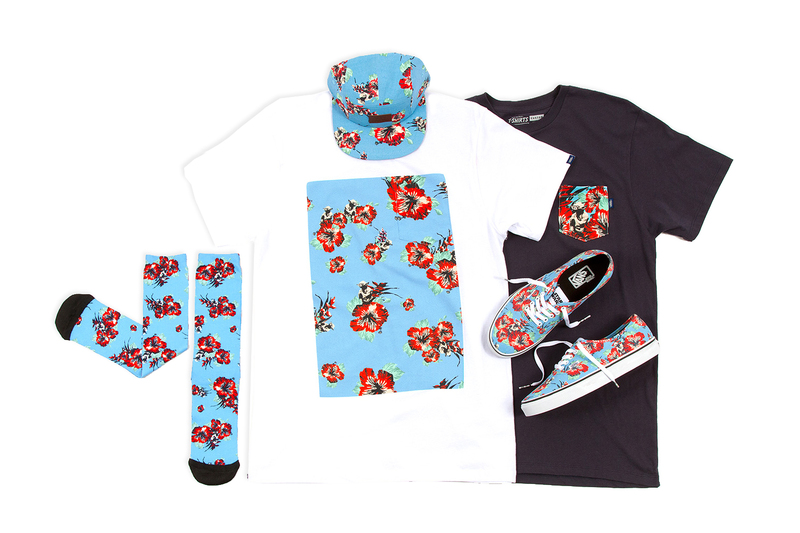 The men’s series highlights the Yoda aloha and Stormtrooper bandana prints across a selection of tees, with an additional cap, backpack and sock pack dedicated to Yoda’s special pattern. 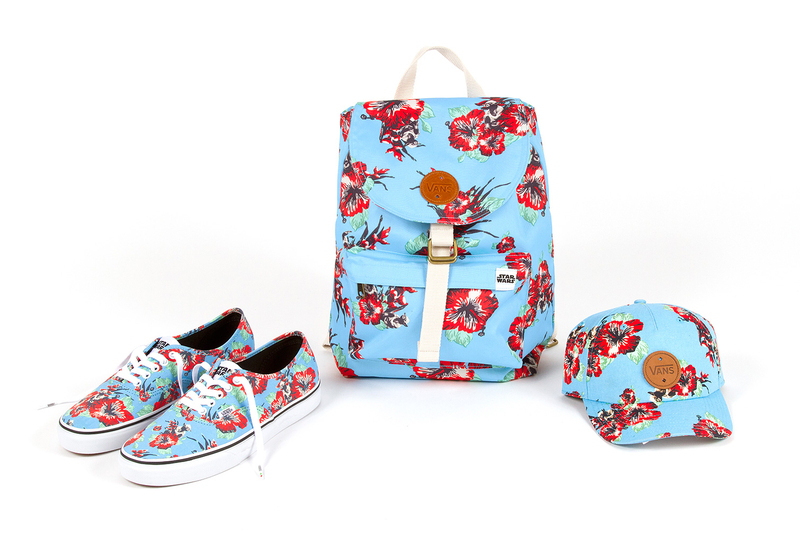 The women’s range of accessories incorporates both sets of imagery into a focused, fashion-forward ensemble of backpacks and hats. The Vans x Star Wars Classics and Apparel collection will be available this June at Vans retail stores and select locations globally. 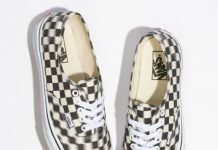 This coveted assortment comes to a close with a limited installment of footwear under Vans’ premium label, Vault by Vans. The Vault by Vans x Star Wars collection launches with two rare Vans prints from the ’80s that incorporate images of Star Wars villains into Vans original Classic forms. 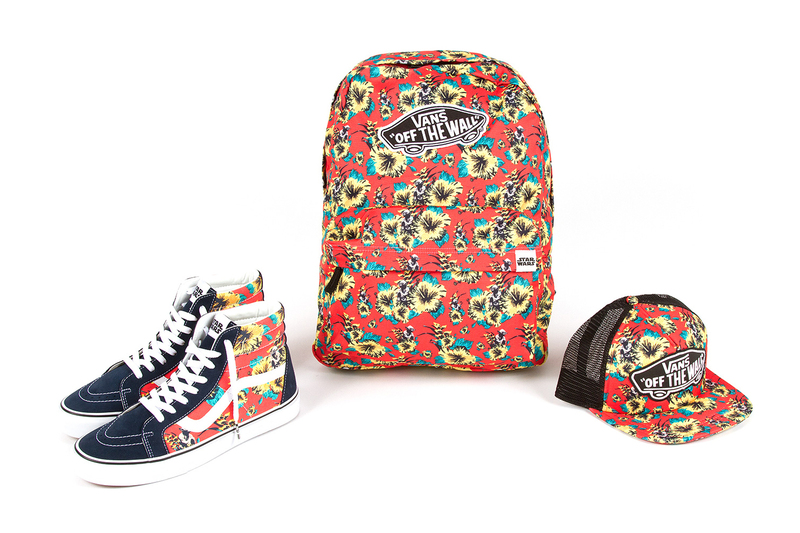 The vibrant Miami print includes the silhouette of Imperial AT-AT Walkers into the aesthetic for a collage pattern across the OG Sk8-Hi LX and OG Slip-On LX. 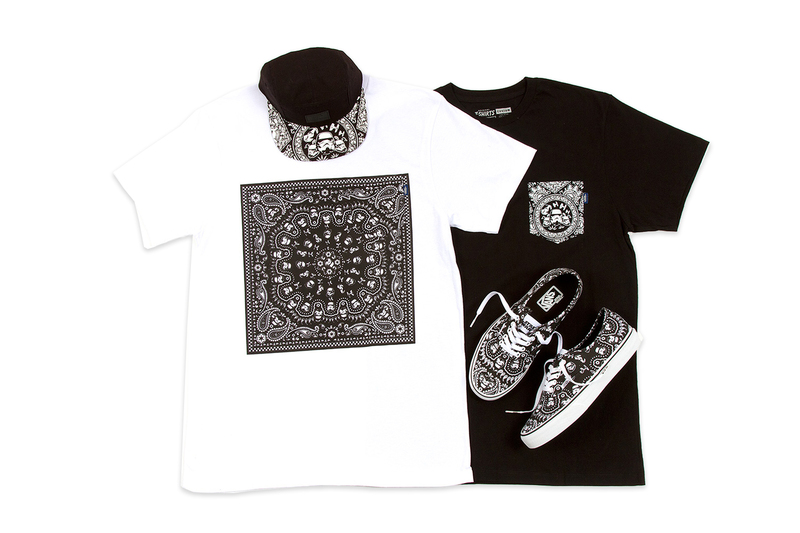 The Pirate print explores the Dark Side with an updated design that replaces the original skull and sword configuration with images of Darth Vader, Stormtrooper helmets and lightsabers for special color-ups of the OG Era LX and OG Sk8-Hi LX. The OG Half Cab LX hosts the ultimate showdown between good and evil with an all-white Yoda colorway going head-to-head with an all-black Darth Vader version. 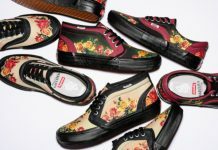 With less than 300 pairs of each style produced, this Vault by Vans special assortment will be available this May exclusively at the Vans DQM General in Boston and New York, Opening Ceremony locations in Los Angeles, London, New York and Ace Hotel New York, Off the Hook in Montreal, Colette in Paris, Firmament in Berlin and Tresbien in Sweden. Can’t wait. The sk8-hi’s are a must.